It’s a known fact that a worm lacks a footprint. Someone else, somewhere in a warehouse in Olneyville, is attempting to follow this diminutive invertebrate’s example — Frank Mastrobuono, co-owner of Earthly. Frank is an exuberant and intelligent individual with a mission to change how you look at worms, soil and sustainability. 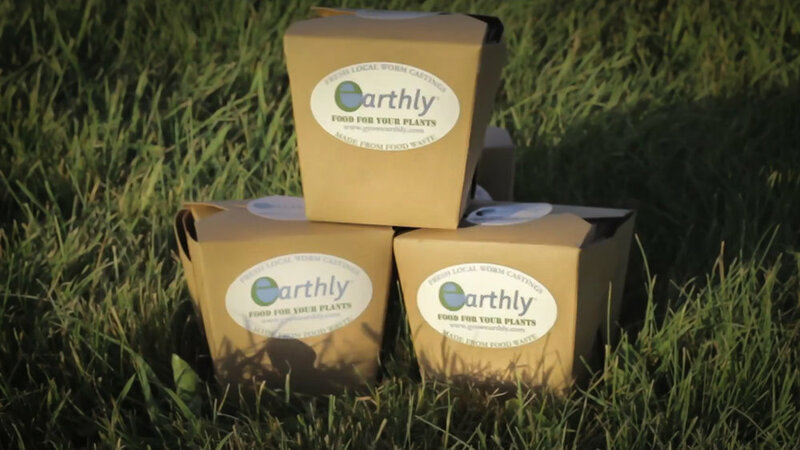 According to their website, Earthly is “a company that believes in the power of business to enact real social change.” But what does that have to do with worms? As it turns out, everything. “Worm castings,” or worm poop in its simplest form, is the industry term for vermicompost, a near-perfect soil additive. It contains all the yummy-goodness plants need, specifically healthy, nutrient-delivering microbes. Think of kombucha for your plants. We need good bacteria for our guts; plants do, too. Frank’s worms are red wiggler worms (Eisenia fetida) and they’re not raised on junk food. Earthly worms are raised on a foodie diet that doesn’t include fats, meats, starches, oils or cardboard (yes, other worms subsist on your old Amazon boxes). This is where Earthly rises above their competition and the social-change-component comes into play. These elite poo-producers are fed a steady buffet of local Providence restaurant waste, meaning that their food travels very little. 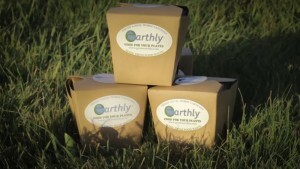 According to Earthly’s website, “based on scientific research, our soil blends incorporate sustainably sourced, durable ingredients that are designed to stand up to the test of reuse … as long as you don’t use chemical nutrients, you can reuse your soil for three to four growing cycles.” If you’re a grower of veggies or other plants that provide joy to the human mind, you’d be wise to look into Earthly’s products due to the lack of chemicals involved and the money you would save long term. However, Earthly products are not cheap. A five-gallon bucket of this black gold will set you back close to $90. But if your aim is to produce something of quality, it only makes sense to start with something of quality. Not sure if Earthly is worth its salt? They were named 2017’s “best new business” in the New England cannabis industry by the New England Cannabis Network (NECANN) and were subsequently featured in High Times Magazine. Not bad for a small business housed in the former jewelry-district of Providence. But what about social change? While earning his MBA at Hope International Business School in Boston, Frank and his fellow classmates fell into a conversation regarding our food waste with the leading question being, where does it all go? The compost market requires a surplus of space, equipment and cost. Concentrated urban areas suffer the problem of mass compost production. Frank, who also has a degree in Environmental Science and Biology from URI, came to the simple solution that worm composting might be the answer to the food waste problem. To quote Frank, “It’s faster, less reliant on heavy machinery and there’s no smell if you do it right.” Business school taught Frank to experiment in small stages and find a “product-market fit.” When he discovered that the cannabis market was looking for fewer chemicals in their soil, the plan came together. Unlike New York City, Rhode Island isn’t exactly 100% green-minded when it comes to our waste removal. Recently, NYC stepped up its game with a Zero Waste Challenge. According to the nyc.gov website, the city has an “ambitious goal of sending zero waste to landfills by 2030.” But here in little Rhody, there is only one commercial composting site and it’s located in Charlestown. 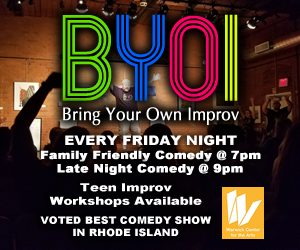 Not exactly close to all Rhode Island businesses and residents (insert joke about West Bay folks needing to pack a lunch to visit East Bay here). Fear not — there is a small glimmer of hope. As of this article’s publication, a 13-member special legislative group is examining waste, specifically food waste, in Rhode Island. They aim to make their report public by the beginning of June. In the meantime, regarding our own leftovers, Frank’s doing his part to make social change happen. By developing partnerships with Providence restaurants, Frank gets what he needs to make happy, healthy, productive worms, and restaurants don’t have to deal with transporting their waste long distances. Frank fosters special relationships with each business and tailors the needs and output of the restaurants accordingly. For example, he might work with employees, educating them on compost contamination — for example, don’t throw gloves into his bins. It’s a win-win situation. Frank said something that really stayed with me long after our conversation ended; he hit me with a mantra derived from a Chinese proverb: Despite all our accomplishments, we owe our existence to six inches of topsoil and the fact that it rains. This became the foundation for his small business solution and it’s something worth thinking about. When I asked him about the common misconceptions he encounters regarding what both he and Earthly do, he said, “People want me to come and get their home compost, but really, the best thing anyone can do for themselves and the environment is to compost at home.” And for a $110, he’ll sell you your own worm factory to do just that.